This was the big day. 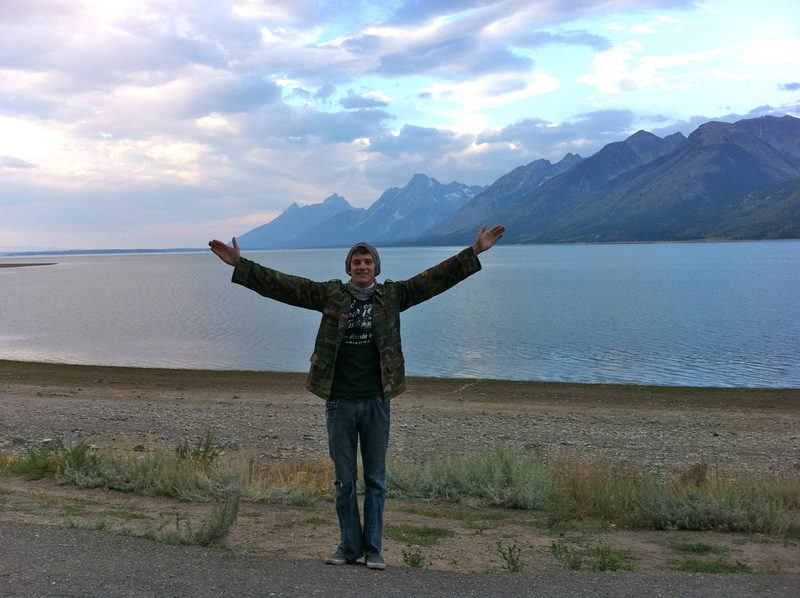 We woke up at 6AM in beautiful Grand Teton National Park and drove up to Yellowstone via the Rockefeller Parkway, which is actually its own National Park Service Unit. Good morning Grand Teton NP! The misty morning air made drive incredibly epic. Our first stop in the park was Old Faithful, the most famous geyser in the world. 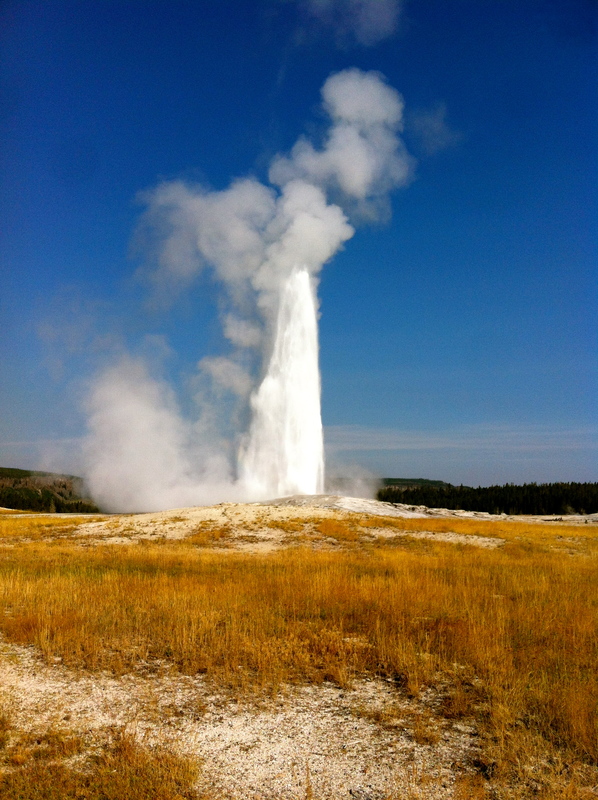 Old Faithful itself is 150 feet tall and erupts between every 45 minutes and 2 hours, which is not very faithful. The eruption was spectacular, but because we were so far from the eruption, it did not look that big. Mike was less than impressed. Afterwards, we walked around the geyser field, which had other geysers that you can get closer to, thermal bacterial pools. Besides Old Faithful, we saw about 12 other geysers. At the Old Faithful visitor center, we learned that a major fire in the park (one of 5) threatened to close our planned exit from the park, this required us to alter the plans and go to Cody that night instead of camping in the park. Instead of spending the entire day in the park, we had to be past a certain point by the afternoon, when the road was probably going to close. 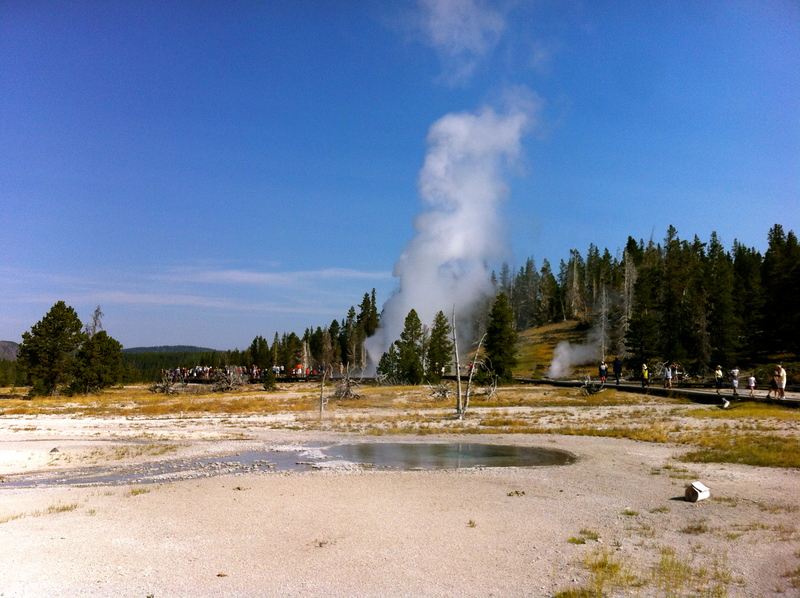 Therefore, we rushed through the Midway Geyser Basin and the amazing Grand Prismatic Spring, which is the hottest spring in Yellowstone. 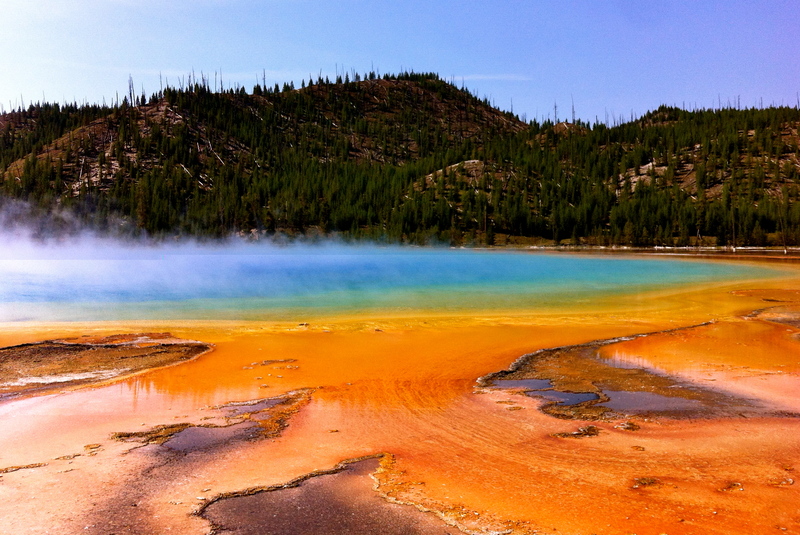 Most of the hot springs in the park are multi-colored due to extremophile algae that thrive in the scalding waters. We also visited the Grand Canyon on the Yellowstone, home of Yellowstone Falls. 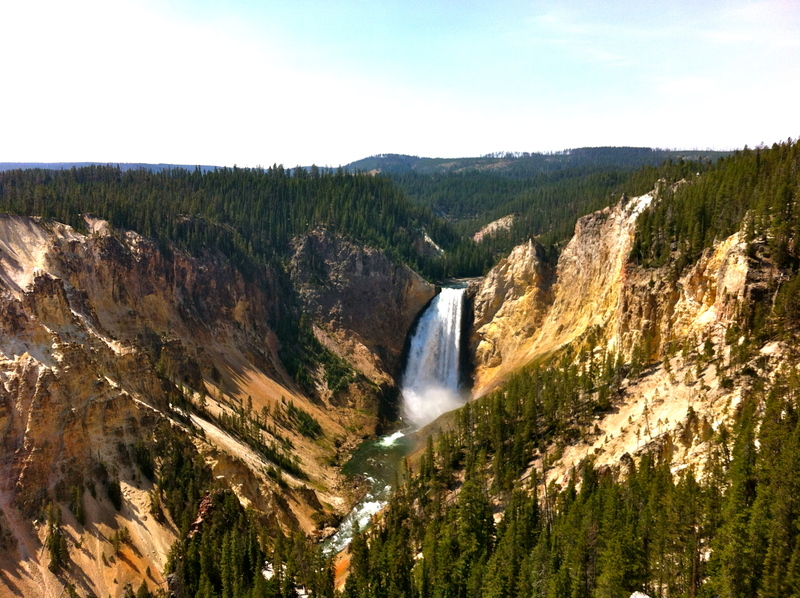 Lower Yellowstone Falls- it’s virtually impossible not to take a postcard-worthy picture here. 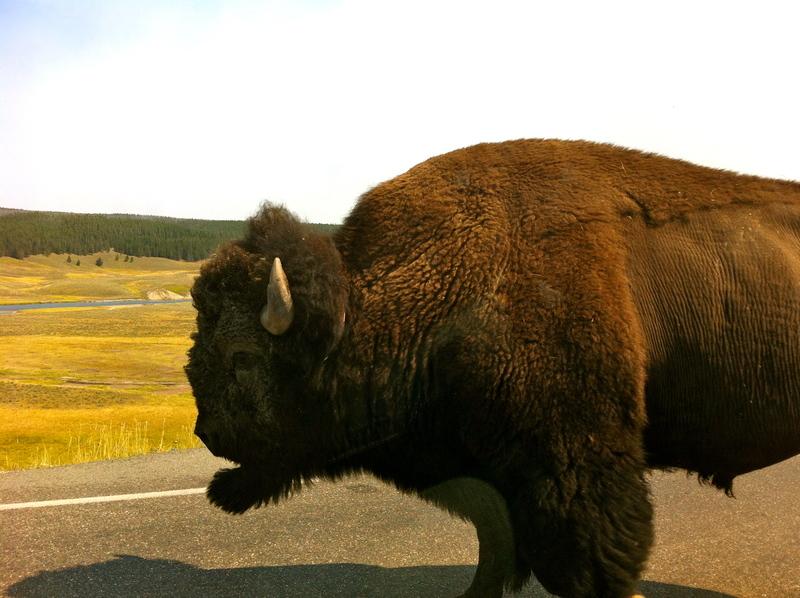 We made it past the checkpoint just in time and had a wild buffalo walk directly past the car! Near Yellowstone Lake right next to the east exit of the park, I decided to climb Avalanche Peak. 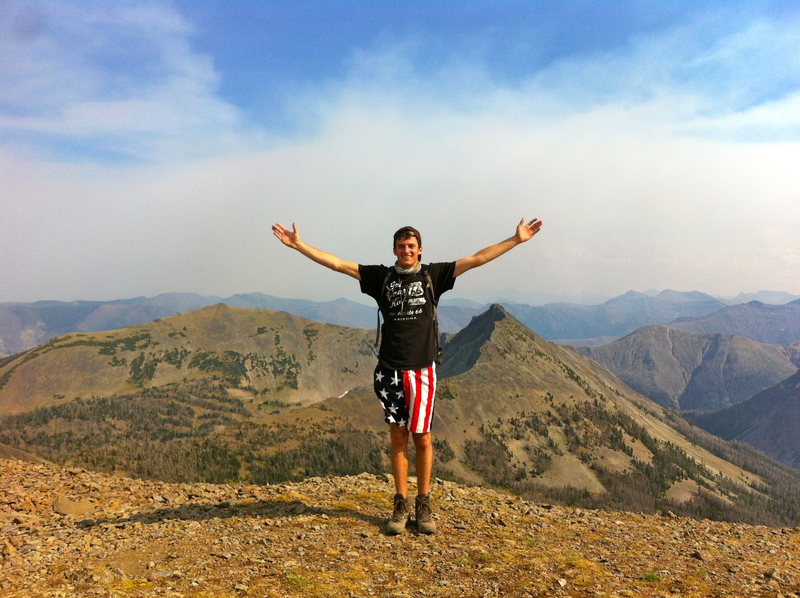 At 10,500 ft tall, Avalanche peak offered an incredible view of the park. The hike climbed 1500 ft and was estimated to take between 2-3 hours up the mountain. However, I was flying up the mountain and make it to the top 1 hour 15 minutes. The view was well worth it, as the gigantic caldera of Yellowstone came into form. After the hike, we drove out the east entrance of the park down a red rock canyon into Cody, a bona fide cowboy town. After an amazing BBQ dinner with a killer margarita at the Wyoming Rib and Chop House, I met my friend Hannah from Wash U who was driving from Wisconsin to San Francisco. 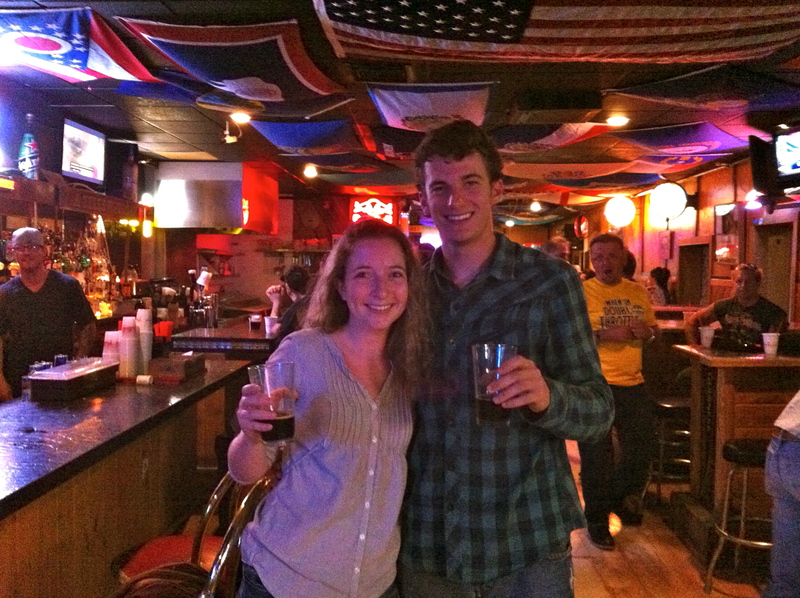 We shared the hotel room and went out drinking at the Silver Dollar Saloon, which was a locals bar. There was a poker game going on at the bar and lots of people had cowboy hats on. With Hannah in the cowboy bar!